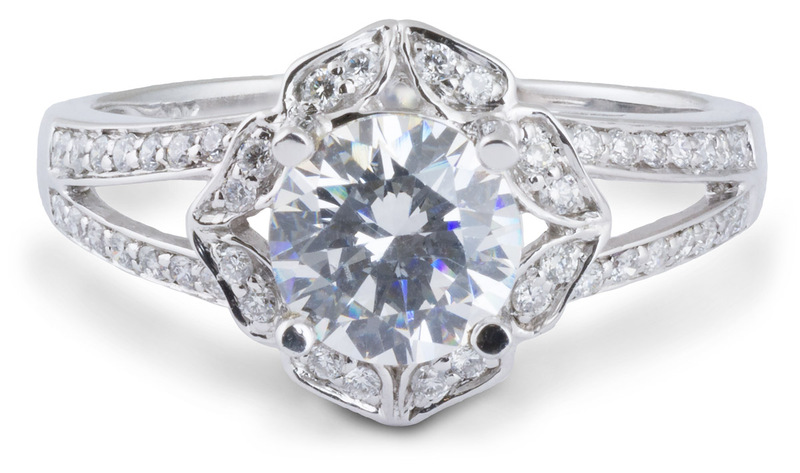 This engagement ring has a unique floral design. 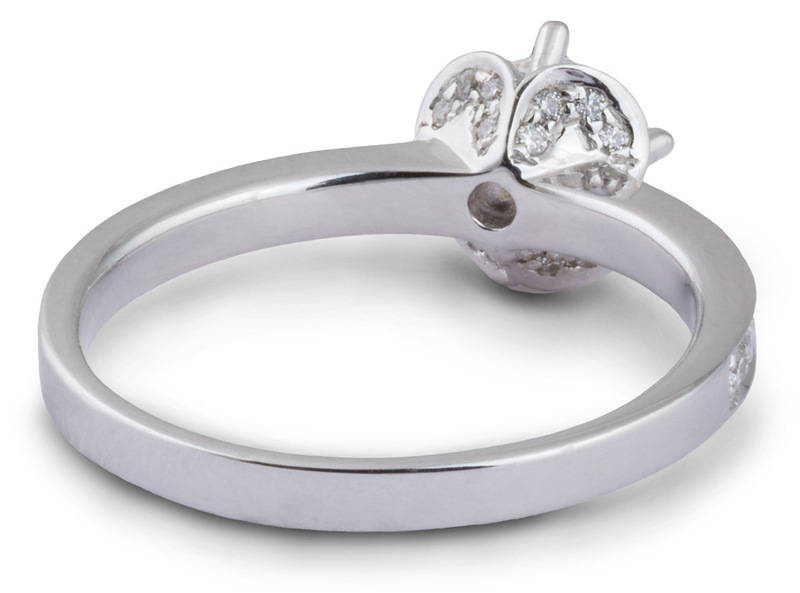 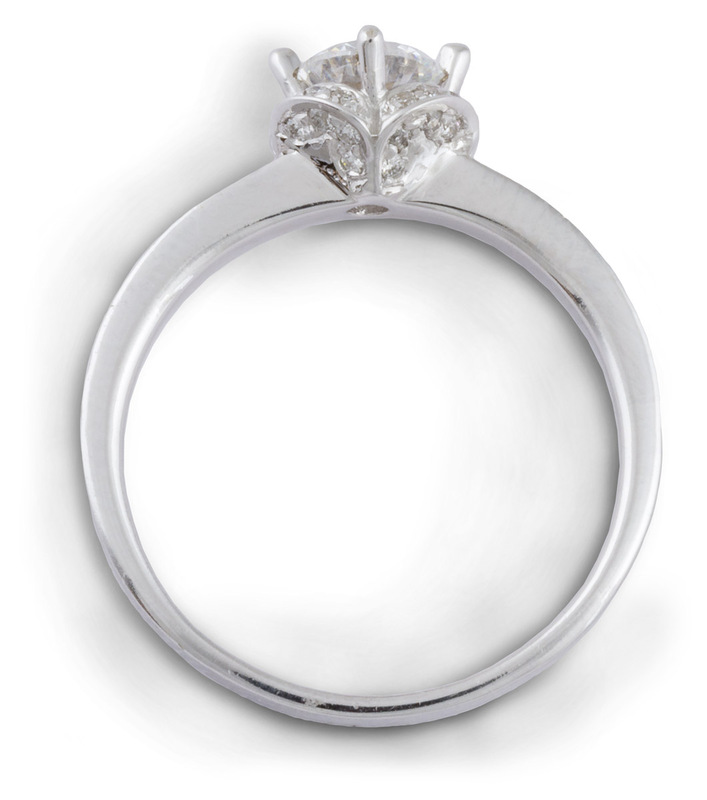 The halo is comprised of four diamond-studded arches which surround the central stone like flower petals. 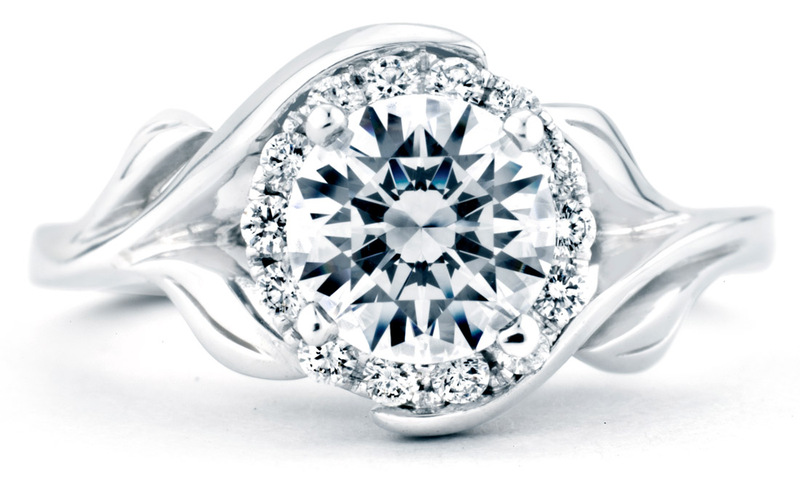 The tops of the arches are not the only things studded with diamonds. 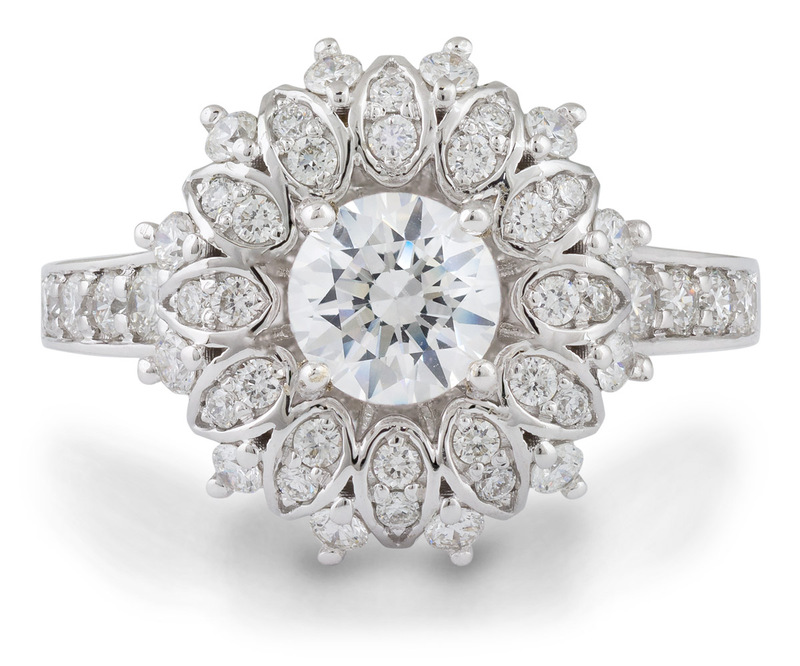 There are also diamonds on the undersides of the petals and additional diamond accents descending down the sides of the shank. 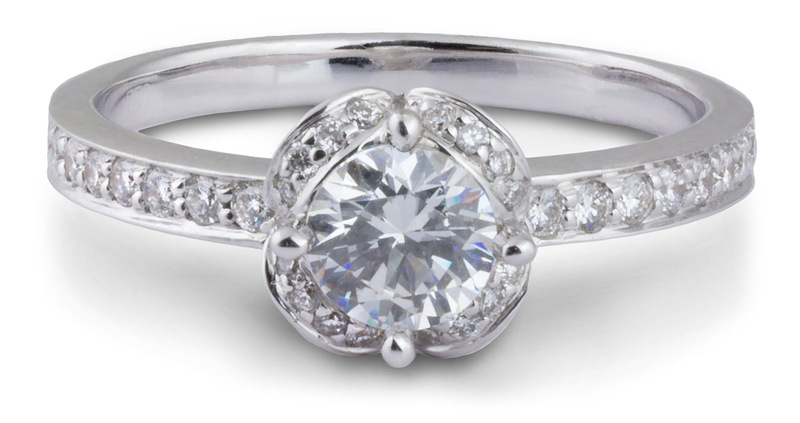 This ring breaks the mold with its own brand of charm and elegance.